Over the last few years, we have seen the rise of the airsoft YouTuber - with many airsofters gaining popularity on the internet for their reviews, how-to videos and of course epic gameplay. With this, we have seen the popularity of action cameras on the field increase dramatically and today I want to explore whether using action cams in airsoft are a positive or negative influence on the sport. Along with the amount of players wearing action cams increasing, the camera setups themselves have gotten way more advanced – now instead of one camera, we see players with helmet cams, gun cams, and scope cams all in the same setup to enable them to capture the day in more viewpoints than ever and create videos that are more akin to cinematics than your average run of the mill YouTube videos. I will preface this by saying that I used to be an avid action cam wearer, after I saw all the cool footage online from airsoft personalities across the pond I was eager to get myself a GoPro and start recording my own footage so I could show my mates all the cool things that happened after the game day and maybe post some footage online. I got my first GoPro in the winter of 2014, around 4 months after I started playing and recorded all of my games up until September 2017 – crazy right? Yet I have only posted maybe 5-6 gameplay in the last 3 years. The reason I stopped wearing my action cam is very simple – when the camera isn’t running I have a much better game day! The reason for this is that I’m not constantly worried about whether the device is actually recording or not, the GoPro running out of battery or there not being enough space on the SD card. When I‘m not wearing the camera I’m not worried about capturing gameplay that looks good on camera (no unnecessary climbing through high windows to get a cool shot), running faster than I usually would and being obsessed with getting killstreaks. Recording the day isn’t the end of the process though, once you get home then comes the part where you have to edit the footage into a snappy, quick paced and most importantly entertaining video! Although it’s really cool to go through all the footage later and relive the day, video editing is bloody hard work. 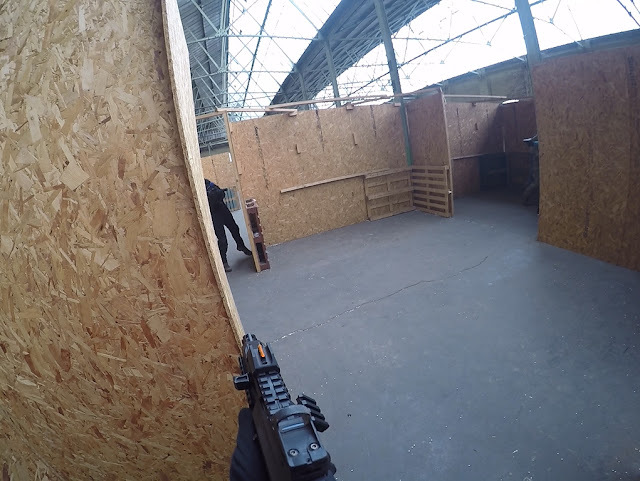 Sure, I can edit a vlog or how-to video but I struggle to create the almost cinematic gameplay videos that we see from some of the big names in airsoft YouTube. Without the camera, I can play at a comfortable pace, just enjoy the game for what it is and not have to spend hours upon hours editing a whole day into a 3-minute video. One argument for the positive effect that action cams have on gameplay is that they promote honest play - as no one really wants to get shamed in a viral cheater video. Now although I am not a fan of cheater videos they are definitely a deterrent. When I was still wearing my GoPro and recording gameplay I found that one of my core reasons for wearing the camera was to protect myself and my reputation from cheating rumours. There was a noticeable trend, the more internet notoriety I gained, the more likely it was that I was accused of cheating – the camera became a way for me to disprove any cheating rumours that were thrown my way by disgruntled airsofters. I believe that airsofters are less inclined to bend the rules if they know there are players in the field recording the events. A few sites in the UK now also have their marshals wear body cams for this reason. 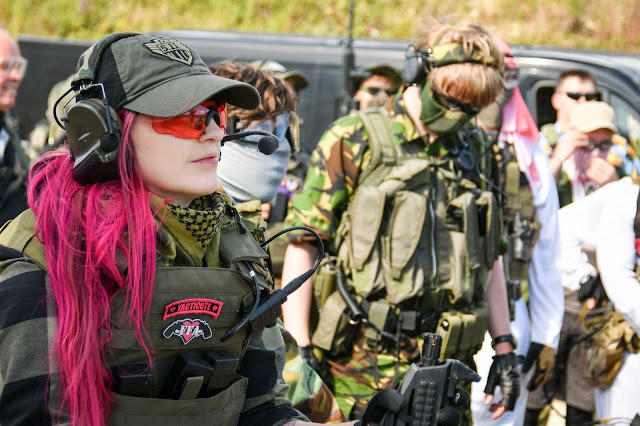 Another reason that actions cams have a positive effect on the sport is that they bring more people into it because they make airsoft look cool AF – now those of us who play know it’s an awesome way to meet people, make new friends and spend ALL of your money! People outside the sport don’t know this and these epic videos act as a great advert for getting new players into the sport! Another reason I am for the use of action cams in game is that a select few airsofters have built pretty lucrative careers and businesses from editing/posting their gameplay. We live in an age where the internet is king and anyone can create content and monetise it. The monetisation of player’s airsoft content gives them a chance to make money doing what they love and in some cases being able to call it their full-time job/career which is pretty amazing. 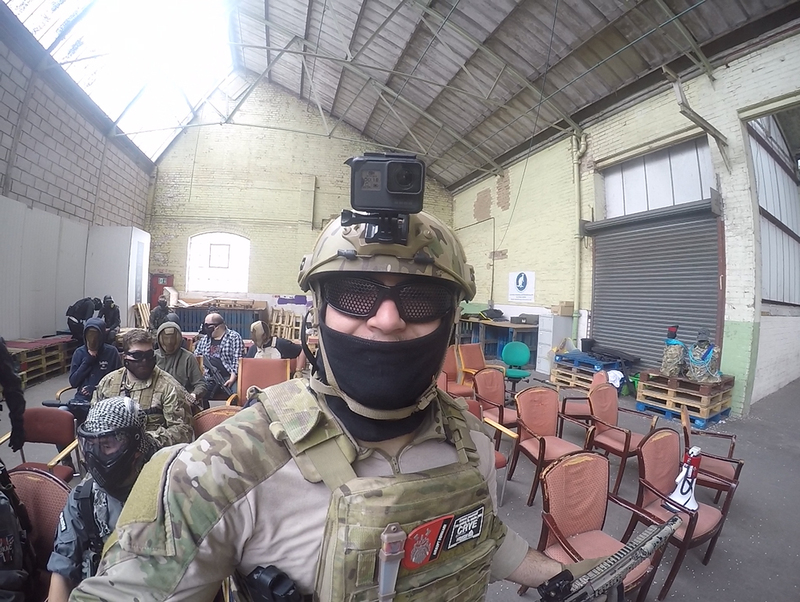 Overall, there are a lot of ways that action cameras affect airsoft in a positive way, from advertising the sport to new players, to promoting honest play within the community and even allowing players to make a career out of producing content. However, we also have to look at the negative side of action cams in airsoft: playing for the camera. In the past I have heard a player say ‘I won’t stop a good run if I get shot in the back or sides, if the camera can’t see it I’ll carry on to get the footage’. Running an action camera can mean that players could be more likely to bend the rules of the game to enable them to capture the better gameplay footage which is obviously incredibly unsporting and not something we want to encourage on the field. This also leaves the floodgates open to another negative influence cameras have in game. Next up? Cheater videos. If it weren’t for action cameras we wouldn’t have the cheater videos that have become popular amongst YouTubers and their viewers. In most site briefs you will hear ‘cheat calling is as bad as cheating itself’ and this applies in my opinion to cheater videos as well. These types of videos draw far too much attention to the negative side of the sport and doesn’t portray it in the best light to those outside of it. I am a firm believer of, if you have an issue with a player on site – tell a marshal, failing that, the site owner. If you notice some questionable play whilst watching the footage back – send it to the site as they could recognise the player and have a firm word to prevent it happening in the future. Heavily edited videos also give a skewed image of the sport and what a typical game day is like. We all know, that if videos weren’t edited they’d be pretty boring, after all, who really wants to sit through 20 minutes of some guy walking through the woods and seeing 1-2 kills? No one, but watching videos where an airsofter gets a huge killstreak but edits out the 10-12 times he/she got hit - it doesn’t give an accurate representation of a normal game day. I really like it when YouTubers leave their hits and any funny mess-ups in their videos because it makes them more relatable and likeable. Realistically, the negatives all boil down to who is wearing them and what sort of player they are. I asked the community what you thought about the use of action cams in airsoft and this is what you had to say! Overall, I do think that action cams do have both positive and negative influences on the game, but the negatives impact is pretty insignificant. Action cams can be a cool way to record the game to show your friends and family, a visual way of growing the sport and also a way to earn a tidy side stream of income. I say, fill your boots! Hardwick, K. (2018). Action Cams in Airsoft. Airsoft Action. 83 (January), 28-31.